When we Mormons talk about the Word of Wisdom, we focus on abstaining from alcohol, tobacco, coffee, and tea. And rightly so, this is counsel we have received from leaders of the LDS Church, and we have covenanted to obey this counsel. At the same time, we’ve also been taught by Church leaders that our body is a temple and that we should use this truth to guide our decisions about how we care for it. How might this truth guide our decisions? Might this truth imply something beyond simply avoiding alcohol, tobacco, coffee, and tea? In “Rethinking Alcohol, Tobacco, Coffee, and Tea,” I explored the idea that the prohibition against alcohol, tobacco, coffee, and tea are examples of the types of substances we would avoid if we followed the more fundamental principles the Lord and Church leaders are trying to teach us. If this is the case, clearly, “The Principle Behind Alcohol, Tobacco, Coffee, and Tea” is even more important than the specific applications of that principle. Abstain from anything that is “not good, neither meet” to consume. A principle is an enduring truth, a law, a rule you can adopt to guide you in making decisions. Generally principles are not spelled out in detail. That leaves you free to find your way with an enduring truth, a principle, as your anchor. As we allow the Lord to put His laws into our hearts and write them in our minds (Hebrews 10:16), they become anchors in our lives. They help us be led by the Spirit of the Lord to make appropriate applications in unique circumstances. This protects our agency and enables us to be guided to do the Lord’s will in complex situations. As useful as principles are for the spiritually mature, they can be difficult for the spiritual novice. It is typical for novices to desire specific, unambiguous instructions when they don’t feel comfortable enough in the ambiguity of life to use simple principles to discern what they should do or they are afraid of making mistakes. However, novices soon learn that simple rules are not flexible enough to guide them in complex situations, so ultimately, the rules fail them. Imagine trying to explain how electricity works to a two-year-old; it’s much easier to warn them to stay away from electric plugs. This protects the child, but of course doesn’t provide much help to guide the child in more complex interactions with electricity as they grow older. This is how the Lord works with us, teaching us line upon line, giving us enough information to help us learn, then adding more as we master the basics and mature in our understanding. The advantage of insisting on strict compliance with the four prohibitions of alcohol, tobacco, coffee, and tea is making the standard for keeping the Word of Wisdom unambiguous and keeping us from known dangers. The disadvantage is that if we focus narrowly on this counsel, we may not go on to learn and embrace the doctrine and principles of the Word of Wisdom, which are the only sure guides through the storms and tempests of life. The Law of Moses was a lesser law; it was an application of the fuller gospel of Jesus Christ. As such, it was a preparatory law to bring the children of Israel to Christ. It had the power to help the children of Israel align themselves with God and understand the saving principles on which it was based, but it was often treated as a simple law of outward ordinances: specific restrictions, a list of do’s and don’ts. When treated this way, it may have changed outward behavior without changing the heart. The Lord wants our heart, but sometimes all He gets is our outward compliance. In my much younger years, I studied the work of others who had compiled lists of things to do and things not to do on the Sabbath. 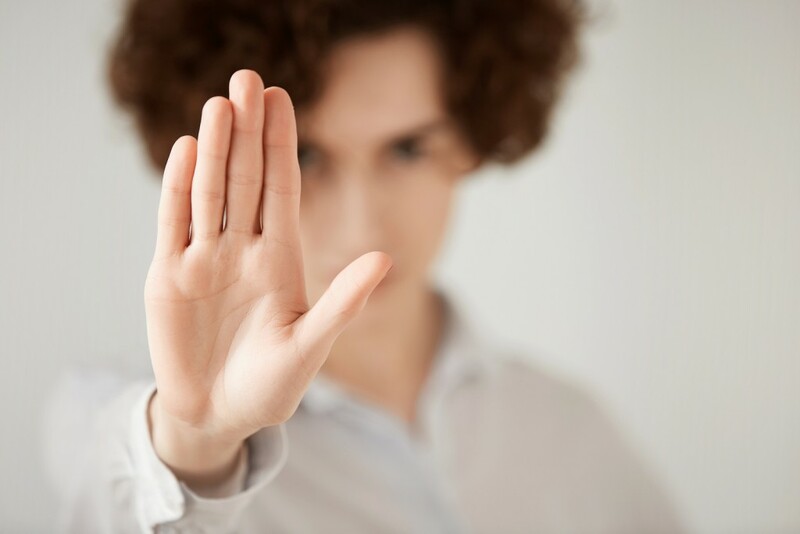 It wasn’t until later that I learned from the scriptures that my conduct and my attitude on the Sabbath constituted a sign between me and my Heavenly Father.12 With that understanding, I no longer needed lists of dos and don’ts. When I had to make a decision whether or not an activity was appropriate for the Sabbath, I simply asked myself, “What sign do I want to give to God?” That question made my choices about the Sabbath day crystal clear. Principles are superior to laws/applications. In fact, laws sometimes need to be disregarded for a higher principle: Nephi killing Laban, an animal in a ditch on the Sabbath, skipping Sacrament Meeting to take a family member to the hospital. But although laws can’t completely govern what we do, they still have a use. Over the years, for example, Church leaders have pointed out particular activities that generally are and are not appropriate for the Sabbath day. By doing so, they are not trying to turn our observance of the Sabbath day into a Mosaic law, but rather to help us, as novices, gain some insight into what following the principle might look like in normal circumstances and to avoid major mistakes. We learn as children that there are activities we should and should not do on the Sabbath day. 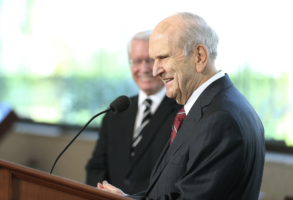 I suspect that even President Nelson would agree that these lists of do’s and don’ts were useful to help him monitor his behavior. They are stepping stones to help us learn to keep the Sabbath day holy. However, as President Nelson came to understand, we’d be making a big mistakes if, as adults, we thought that by simply doing or not doing those things we were in fact “keeping the Sabbath day holy.” The purpose for the lists of do’s and don’ts is to help us grow in our understanding and ability to live the fullness of the principle. Once we are living the principle, it is possible that our outward behavior may not change, but now what we do is done for very different reasons, so in a sense it is not the same at all. The Law of Moses said not to kill. Jesus taught the higher principle to not even be angry with our brother, and further, to love our enemy. To be angry but stop short of killing someone is not the same as loving someone so much that you would never hurt them. The Law of Moses said to not commit adultery. Jesus taught the higher principle to not even lust after another person. If one lusts after another, surely it is better to stop short of adultery, but is it the same as not lusting at all? C.S. Lewis wrote, “We might think that God wanted simply obedience to a set of rules: whereas He really wants people of a particular sort.” Allowing the Lord to put His laws into our hearts and write them in our minds (Hebrews 10:16) helps us learn to walk in righteousness before Him, deepening our relationship with Him through all the difficulties and challenges of life so that “when he shall appear we shall be like him” because we are “purified even as he is pure” (Moroni 7:48). When the Lord revealed the Word of Wisdom, He was obviously not giving us an exhaustive list of things we should and should not consume. Such a list would have been mind-bogglingly long, and, like the Law of Moses, would have become a weight around the necks of any sincere follower. Instead, God is trying to teach us principles that we can use in making the innumerable dietary decisions we make on a daily basis. But like counsel we sometimes receive about the type of activities we should not do on the Sabbath, examples of the type of substances we should avoid are useful in helping us learn and eventually embrace the higher principles—and to avoid making major mistakes in the meantime. I certainly feel it was a tender mercy of the Lord to provide a short list of specific examples of the type of substances we should avoid in order to care for our bodies. This list is alcohol, tobacco, coffee, and tea. The Lord knew that even if the Saints did not fully understand or embrace the doctrine and principles of the Word of Wisdom that abstaining from these substances would bless them, both physically and spiritually. Considering the long struggle Latter-day Saints had with the Word of Wisdom during the 19th and early 20th centuries, I feel we have been greatly blessed by the clear guidance to totally abstain from all alcohol, tobacco, coffee, and tea. Without that strong guidance, it seems likely that the majority of Mormons today might still be struggling to fully follow this counsel. It seems human nature to not have a great desire to voluntarily follow sound nutritional advice, so it is no surprise if we Mormons have not always shown a great love for trying to understand what is and is not good for our bodies, much less faithfully treating our bodies as temples of God. At least, I must confess that for most of my life I have willingly ignored many of the things I knew to be true about good nutrition and care for my body. I’m sure that those 19th century Saints who loved and embraced the principles of the Word of Wisdom also allowed the Holy Ghost to lead them to give up not only alcohol, tobacco, coffee, and tea but also other foods and substances that would harm their body temples. But too many of these early Saints had to have the letter of the law spelled out for them in increasingly clear and unmistakable terms before they were willing to completely conform to even the minimum expected behaviors. Once the letter of the law was laid down in unambiguous terms, it made it easier to treat it as a type of Mosaic Law: “Abstain from all alcohol, tobacco, coffee, and tea and you have thus fulfilled the law,” rather than to treat this counsel as an application of a higher principle that we should eagerly embrace. According to the LDS Bible Dictionary, the “Law of Moses” refers to “the whole collection of written laws given through Moses to the house of Israel, as a replacement of the higher law that they had failed to obey.” The children of Israel sometimes used their obedience to a lesser law in order to ignore the higher law. Is it possible that we may sometimes treat the Word of Wisdom in the same way? While this behavior is acceptable for novices and is generally better than not keeping the law at all, is this keeping the Word of Wisdom “with real intent?” (see Moroni 7:6). By emphasizing the practices themselves rather than the purpose of those practices, we ritualize the behavior. We run the substantial risk that we will start to associate the practices with righteousness, holiness and spiritual power. The practices can become our god. Yet the heavenly directive is to come unto Him. Diet Coke, 5 Hour Energy, and methylphenidate are not against the Word of Wisdom, so I continued to get by. Ice cream in front of Netflix wasn’t against the Word of Wisdom either, and neither was Magic Shell, McDonalds, Pringles, or crash diets. And the Word of Wisdom doesn’t mention whether it’s best to buy organic or not, or whether you should eat double cheese on your spaghetti, or whether factory farms are morally objectionable. So honestly I never thought to look to the Word of Wisdom for help. It seemed so vague and unhelpful. The Word of Wisdom seems “vague and unhelpful” when we look to it to provide a definitive list of do’s and don’ts or simplistic rules. It is only when it is understood in the context of doctrine and principles that it can provide us with needed guidance. Consider that we are not asked in the temple recommend interview, “Do you abstain from alcohol, tobacco, coffee, and tea?” Instead, we are asked, “Do you keep the Word of Wisdom?” We’ve been clearly taught the letter of the law, so we can truthfully respond that we keep the letter of the law if we do abstain from the prohibited items. At the same time, that certainly does not stop us from elevating our thoughts and behaviors by embracing the doctrine and principle of the Word of Wisdom. What would happen if we changed our focus? What if we used the same question as a guide in deciding what to consume? Would that question make our dietary choices much more clear? D&C 89, the Word of Wisdom, reflects deep doctrine and priceless treasures of wisdom. The counsel to avoid alcohol, tobacco, coffee, and tea are just a few of those treasures. Why stop there? There is so much more if we do a little digging. Boyd K Packer, “The Word of Wisdom: The Principle and the Promises,” LDS General Conference (April 1996). Russell M. Nelson, “The Sabbath Is a Delight,” LDS General Conference (April 2015). C. S. Lewis, Mere Christianity (New York, MacMillan, 1960), p. 63. Wallace Goddard, “Is Your Scripture Study a Ritual or Relationship,” Meridian Magazine (August 15, 2016). Shara Mitchell, “Why did God invent food?! ?” Discovering the Word of Wisdom website (August 8, 2015). Peter's comment right on: This thing is about "wisdom" not exact unthinking specifics. How far do we stray when we don't think? Janet's observation about church and university functions - so right on. Give us choices if we are people who "think" about what will help us have a relatively long healthy self-sufficient life not dependent on a cabinet full of chemicals given by the doctors. I feel this article really hit the nail on the head and has helped me gain further insight into something I have been thinking about for sometime not. As an amateur body builder I eat very clean and the word of wisdom has given great guidance on treating the body like a temple. Since trying to eat healthy I started drinking traditional Chinese tea following the traditional Taoist methods. I do this because it is extremely healthy for body and mind but it also goes in line with commandments given by the Lord. It should only be consumed between 65-85 Celsius, and therefore not considered a hot drink that can lead to throat damage. Tea is a seasonal herb that according to traditional methods should only be consumed at certain times of day and during certain seasons, according to the weather. Finally it is also medicinal and can be used to help defend against certain physical ailments. I feel that by following to these guidelines that I am assisting my body stay healthy and thereby following to word of wisdom. I would also like to add that when I have me little tea ceremony it is in a state of peace and quiet allowing me to remain calm, meditate and approach the Lord through prayer and reading the scriptures. I don't feel that this is something the Lord would forbid. Furthermore when approaching the Lord through prayer about this I do not receive the impression that I am doing the wrong thing.